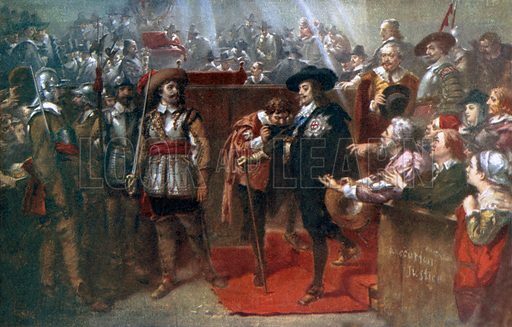 Charles I leaving Westminster Hall after his trial. Illustration from Highroads of History series (Thomas Nelson, c 1920). NB: Scan of small illustration. Available worldwide for immediate download up to 5,008 x 3,195 pixels.